J. is the Jewish News of Northern California. J. is bold and innovative. Its magazine-style format is appealing to readers of all ages. Our subscribers are affluent, educated and support a broad range of advertisers. Each week, we reach 40,000 readers in the fourth largest Jewish market in the United States. J. has a design geared toward enhancing advertising. Our research has indicated that magazine-format publications are kept longer and read more regularly and with greater interest than traditional newspaper formats. J. covers the true range of what it means to be Jewish today — from politics to the arts, religion and food, spirituality and community. J., formerly the Jewish Bulletin, has been publishing for over 120 years. jweekly.com averages 110,000 unique visitors each month, and was ranked in the Top 6 of the most-popular Jewish publication web sites online as ranked by alexa.com. J. sends three “opt-in” weekly e-newsletters to over 7,000 subscribers. Dedicated E-blast of your content to our digital subscribers. We publish 26 print editions each year. 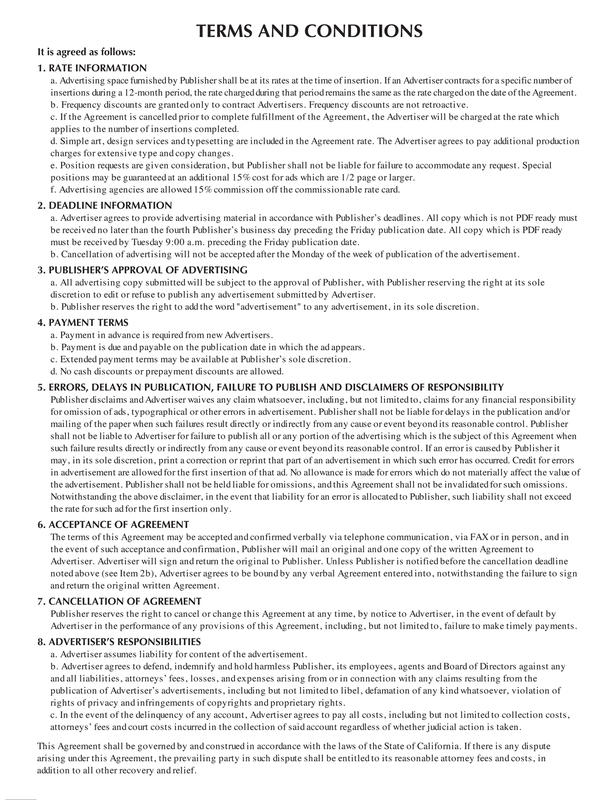 Ad space reservations: Ten (10) days prior to the date of publication. All ads/artwork due: Monday at 10:00 a.m. preceding Friday date of publication. For print advertising rates, please email Steven Gellman or call 415.263.7202. Dates are subject to change. Schedule lists special sections for each issue.